The Newest Rant: Let's Do a Feature about Lion Forge and Their Comics! Let's Do a Feature about Lion Forge and Their Comics! What comic-related goodness resides in our fair city? I was sitting around thinking one day about how some cities really are hotbeds of comic activity. You have Portland, Oregon with its assorted publishers, I've been to shops in NYC full of locally-made mini-comics, and of course when someone hears the name, "San Diego," images of that huge comic-con enter their mind. As I continued thinking, I wondered what we have here in Saint Louis in terms of comic-delights. There are some small-press folk who put out titles, and that's cool, but we don't have any super-popular shops (well, we had the nationally-known Star Clipper, but yeah) even though I can recommend some cool places locally (Newcastle Comics is great). Then I got to the question of if we have any comic-book publishers around here. 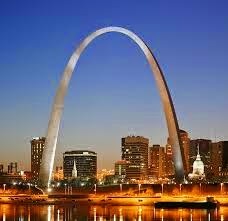 At this moment it occurred to me that one publisher who has been growing in popularity with their digital releases and shift into some print releases too is in fact Saint Louis-based! Yes, I am referring to Lion Forge. Launched four years ago in 2011, Lion Forge is a publisher which has primarily been involved in the digital space, but is in the process of getting more physical titles out via a deal made with IDW to assist with the print-side of things. 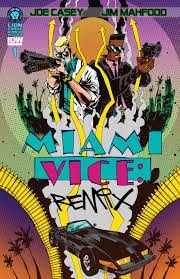 One big release I am excited to read is, "Miami Vice: Remix" which will be available via Lion Forge and IDW with writing by the incredibly talented Joe Casey and art by the equally-amazing Jim Mahfood. Lion Forge has an number of original titles, but many may know them for their licensed properties which they've made comics about, from NBC properties such as "Knight Rider" and "Saved By the Bell" to acquiring the license for The Care Bears thanks to their deal with American Greetings. Lion Forge has some good comics and the intriguing way of how they went digital-first as a publisher and then added a print aspect made me interested in talking to them. I was pleased that they were eager to speak with me too! I spoke with the CEO of Lion Forge, David Steward II, and the Chief Creative Officer, Carl Reed, about Lion Forge as I was eager to learn about certain things. I wanted to know what had inspired them to do a focus on digital and David told me that back when they started in 2011 digital had not yet exploded to quite the degree it has now, but they saw how it was due to happen and wanted to, "Get ahead of the ball," in a way unlike how the music industry did (remember Napster?). As a group of professionals and friends who had experience in animation, graphic design, and the like, all the founders of Lion Forge were excited to do comics, but thought with how digital was going to grow massively it made sense to focus on that avenue. I asked David and Carl what they found most enjoyable about digital and they told me how it opens a lot of opportunities from a storytelling standpoint which may not be available in print. Bits of animation can occur, such as Kitt's headlights popping on in the "Knight Rider" comic, to give one example. Also, tricks of shading can occur which would require multiple panels in a comic but can be handled easily through digital. That said, they do still love print and always were eager to start putting out comics through that method too once the chance arrived, which it has through their current deal with IDW. 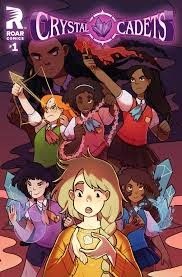 When asked about titles they would recommend to folk who wanted to try Lion Forge, David said "Crystal Cadets" is a greatly enjoyable book focused on teenage girls who go on surreal journeys and Carl talked about how he was a fan of "Wonderous 2" which follows real-life cosplayer Yaya Han in unreal adventures. Lion Forge has some great comics out and even more cool ones on the horizon. I greatly enjoyed talking with David & Carl and foresee an exciting future for Lion Forge!